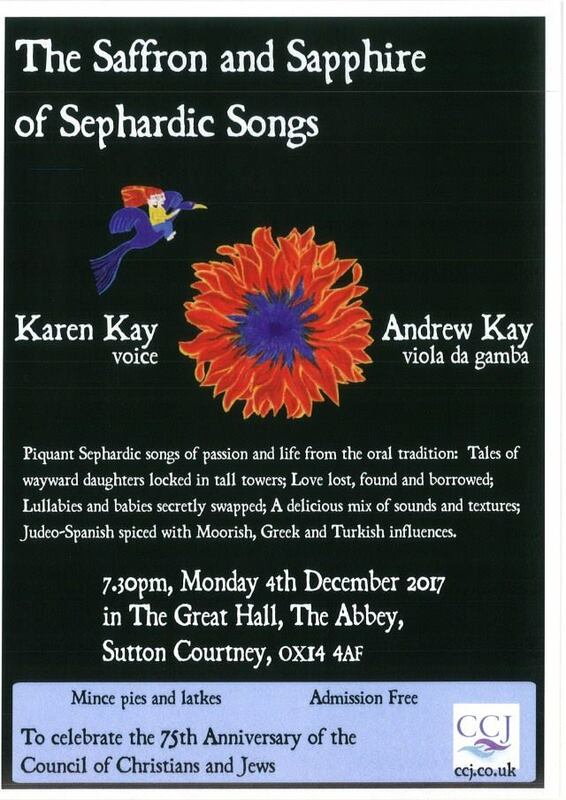 4th December : Wild Ruby Concert at The Abbey in Sutton Courtney. 9th December : The North Parade Market . A mixture of jazz, blues and all kinds of other music. Midday until 200pm. 11th December : Social Club Christmas Party in Littlemore. 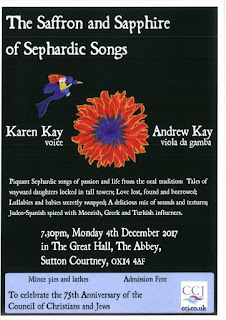 26th December : Wild Ruby Concert at Limmud Festival in Birmingham .